Today we're looking at the 1950 Academy Award for Best Actor. 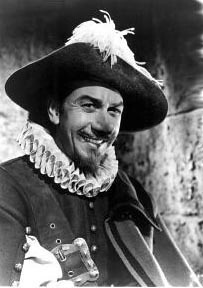 Jose Ferrer won for playing a lovelorn poet in Cyrano de Bergerac. 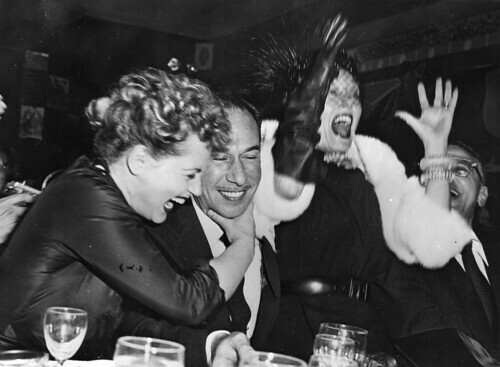 The photo above shows Judy Holliday (left) and Gloria Swanson celebrating his victory on Oscar night. Puerto Rican actor Ferrer was something of a surprise winner on Oscar night. He was a renowned Broadway thespian, but he was competing against some well-established Hollywood names. The other nominees were Spencer Tracy for Father of the Bride, James Stewart for Harvey, William Holden for Sunset Boulevard and Louis Calhern for The Magnificent Yankee. The clip below shows Helen Hayes presenting the award to Ferrer. He was in New York, but you can hear his jubilant acceptance speech off camera. Ferrer is probably best known today for playing a sadistic Turkish officer in Lawrence of Arabia (1962), but the lovelorn poet with the long nose was something of a signature role for him. Ferrer earned a Tony Award in 1947 for his Broadway performance and by the time he played Cyrano on film he had honed every detail into perfection. Both the film and Ferrer's performance are very "stagey" -- Ferrer does a lot of hammy thesping in the big speeches -- but Ferrer is also quite effective in conveying the character's heartbreak. Cyrano de Bergerac is available for free streaming on quite a number of sites, including Hulu. It is also available on DVD. By 1950, Tracy was already a legendary leading man with two Best Actor Oscars under his belt. 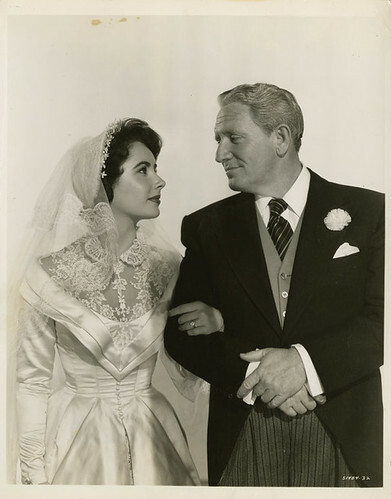 He could have phoned in his role as Elizabeth Taylor's doting dad in Father of the Bride, but instead he turns in a top-notch performance. He is extremely funny, especially when he fusses over the bills or Taylor's future in-laws, but he also excels in the quieter moments when he radiates love and concern for his beautiful daughter. Father of the Bride is available on DVD and video on demand. 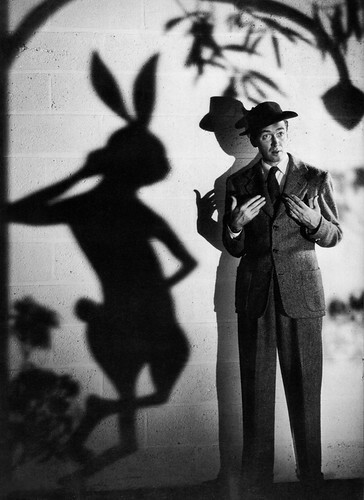 James Stewart is one of old Hollywood's leading legends, but his career had slowed down by 1950. Before World War II, Stewart was one of Hollywood's rising stars --earning a Best Actor Oscar for The Philadelphia Story (1940) -- until he left the movies to serve in the Army Air Corps. Stewart returned to films with It's a Wonderful Life (1946), but that film was not a success in its initial release. Stewart struggled in silly comedies until he got the part of Elwood P. Dowd, an eccentric whose best friend is an imaginary 6-foot tall talking rabbit. Stewart is masterful in the role, playing Elwood with a sly charm. Harvey is available on DVD and video on demand. Holden made an even bigger comeback in 1950 than Stewart. Holden had starred in his breakthrough role Golden Boy (there's more about that film here), but, just like Stewart, his budding film career was interrupted by service in World War II. 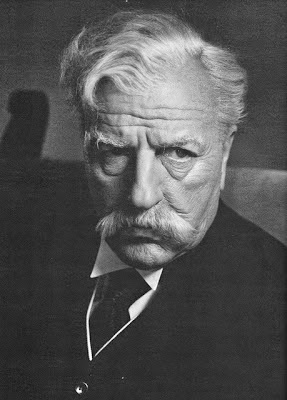 Holden was mired in B pictures when he landed the plum role of the broke screenwriter in Sunset Boulevard. Several actors, including Montgomery Clift and Fred MacMurray, turned down the part because of concerns about playing a man who was supported by an older woman. Holden was so desperate for the part that he took a much smaller salary than his co-star Gloria Swanson. Holden's instincts were correct. His good looks combined with his pitch-perfect delivery of Wilder's sarcastic one-liners catapulted him to the A-list. Holden became one of the most sought after leading men in the fifties, earning a Best Actor Oscar in 1953 for Stalag 17. Sunset Boulevard is streaming on Netflix Instant. Character actor Calhern's role as turn-of-the-century Supreme Court justice in The Magnificent Yankee is now largely forgotten. Calhern is better remembered for his many supporting roles in films like Notorious (1946), The Asphalt Jungle (1950) and High Society (1956). In fact, Calhern was such a valued supporting player at MGM that the studio bought the rights to Emmet Lavery's Broadway play as a star-vehicle for Calhern (he played the role on Broadway). The film is actually an engrossing biopic with MGM's first-rate production values and fine performances from Calhern and Ann Harding as his wife. The Magnificent Yankee is available on video on demand.